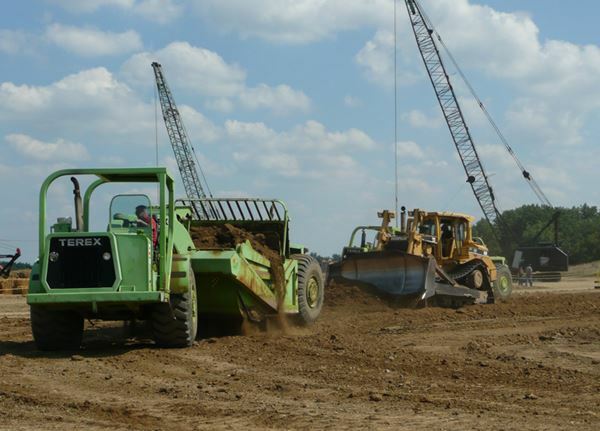 ASIP earthmoving at its best! One of the TS14H motor scrapers pulls away from the D8R push Cat. "TS14H" seems to be an improvised designation reflecting a TS14B being repowered with Deere engines.